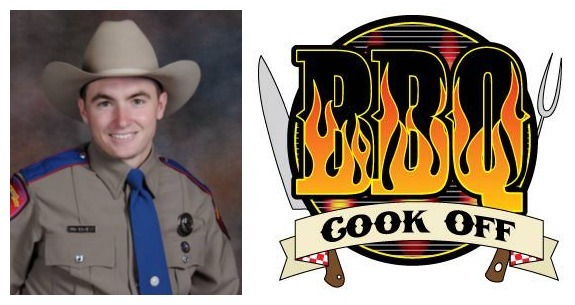 The Second Annual Trooper Jeffrey Don Nichols BBQ Cook-Off is Saturday at the Love Civic Center Pavillion from 11:00 am until 1:00 pm. There are several categories including Brisket, Ribs and a dessert. Lunch will be served to the public from 11:00 am until 1:00 pm as well. Adults are $10, Kids under 10- $5. All proceeds go to the Jeffrey Don Nichols Scholarship Fund.